Back in 1984 the Macintosh 128K was unveiled with a piece of hardware that would revolutionise an industry and remain the standard for 30 years to come. The mouse was a new, innovative, exciting way to interact and control your computer and everyone believed that this was the future of computing as a general appliance. 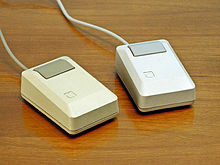 But Steve Jobs didn't invent the mouse, he merely brought the mouse to Apple and stylised it. 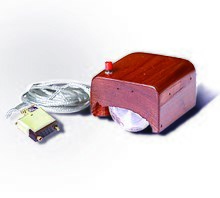 The mouse was invented 20 years earlier by Douglas C Engelbart. He envisioned a mouse with 7 more buttons than the computer of the time could handle as a mechanism to control every aspect of a modern computer. He wasn't wrong, we have those mice today but it still took two decades for society to embrace the technology. Fast forward to the present day and technology advances faster than the blink of an eye. Which is why now is the time to invest in building tomorrow's technology ... What is a bot? Before we tell you the why, we should tell you the what! A Bot is just a software application, and just like a mouse it's a way for humans to interact with a program. Unlike a mouse it's designed to interact through conversation. Bots aren't magical, it takes lots of programming to tell the software what something is and even more programing to tell it what it isn't! bot: "I'm good thankyou, how are you?" p: "I'm well, what time is it?" b: "it's 4:30pm, is there anything else you need to know?" b: "ok, well have a great day"
In such a simple conversation there is lots of complex entities for a computer to read, understand and resolve. This is where we come in, we program this in. Thankfully software is vastly more efficient today than 5 years ago but it's still a carefully thought out process. We are on the brink of another revolution... or evolution really. We can't carry a mouse and keyboard everywhere we go and with the announcement of even more partnerships between Google and hardware manufacturers like LG, the assistant will be in everyone's home appliances, cars, boats, bus stops and more. Talking to a computer seems silly, unless it's in context. We have grown accustomed to calling a support center and telling a computer about our issue in order for it to route us to the correct support person... OK it doesn't always work but we do that now! I have also experienced how younger generations are adapting to the new technology, like a fish to water. My kids are all under 6, the oldest can read and write some things and the young ones nothing at all. But they are now so used to asking the Google Assistant to play their videos on the TV that I no longer have to type in their request on my phone for them to watch. It's amazing how big the transformation - in only a few months - between asking me to type something and now asking a computer to get it for them. But this is all early stage, the revolution is what I saw Google present on stage at Google I/O '17 this year. If you haven't seen it then below is a short clip to watch. The potential of this platform is so far reaching... so incredibly exciting that you're head should explode! But I hear some of you saying "so what, you can order take-away. Nobody is going to do that yet." Not yet, but very soon. Imagine instead of trying to explain your order to a restaurant owner whose primary language is not English (c'mon it's happened to all of us) you just ask your Google Assistant, Facebook messenger or your Android Auto equipped car while driving home. Or if you're a surgeon in the middle of a procedure and you could tell a computer to monitor the patient's vital signs and advise how to proceed based on those readings.... better yet, physically disabled or visually impaired people can now ask their Google Assistant to send the connected wheelchair over to pick them up and put a coffee on. Now flip that around, what if people could simply ask for and book your services without ever being near what we call a "computer" by today's standards. In the near future, no one will be typing their questions into a Google search bar. Instead they will ask their connected device to find, present and (hopefully) purchase your product or service. Will you still be fielding phone calls and answering the same questions for customers or will you be picking the kids up from school while your bot takes care of the customer enquiries, delivers marketing that captures new leads and secures bookings or up sells your products? If you want to discuss how bots could help your business then we should talk.